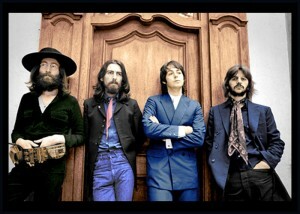 Paul McCartney’s announcement of the Beatles’ breakup in April 1970 caused pain to many. I remembered this as I stood in line with my fellow baby boomers to watch the movie “Eight Days a Week,” Ron Howard’s documentary on the Beatles’ touring years. We knew how the movie would end, just as we knew how the movie “Titanic” would end. We quietly reminisced while watching our young selves welcome the Beatles to the United States for the first time. We heard one note played in a particular way, and knew instantly what song was about to be performed. We watched the “lads” in their innocent surprise at the birth of their stardom and transform into more jaded versions of themselves as Beatlemania mounted. They were a family, and their breakup was a shock. Yet, who could miss the tired look on Ringo’s face as he tried to hear his mates at Shea Stadium? Or the slight lapse in Paul’s timing as he picked up the chorus of “Can’t Buy Me Love?” How could we have failed to grasp that it wouldn’t last? They left us, as we were all coming of age, when we needed them the most.